What is this thing we call the local church? I’m thinking of asking a dangerous question. It’s a question that I need to ask, but the very act of asking it threatens to lead me astray. The question is this: ‘What is St. Blogg’s?’ This may seem like a strange question, but let me explain why I need to ask it, and why it’s so dangerous. St. Blogg’s is a group I belong to. It has about 200 members of various ages, most of whom attend (with varying regularity) one or both of its two so-called ‘Sunday services’ where we engage in singing, prayer, Bible instruction, symbolic meals, and other assorted activities, followed by tea and biscuits. As a group, we tend to like spending time together both during and outside the ‘services’. We share biblical truth with outsiders. Many of us attend mid-week groups for Bible study, prayer and training. St. Blogg’s owns some buildings, and many (but not all) of its members dwell close to these buildings. The membership has a high turnover, reflecting the high mobility of the locality. There are so-called ‘ministers’ who lead many of our activities. St. Blogg’s belongs to the Reconstituted Calathumpian denomination. According to our vision statement, we have a rich heritage and a promising future. According to some others, we have a chequered past and an uncertain outlook. I’ve just described St. Blogg’s in a few different ways. But this doesn’t actually answer the question: What is St. Blogg’s? St. Blogg’s isn’t necessarily something that God cares about very much, and this is what makes the question dangerous. By the very act of asking it, I might focus so much on St. Blogg’s that I neglect God’s concerns. Nevertheless, I need to know what St. Blogg’s is—because if I don’t know what it is, I won’t know how to behave towards it. I might unduly despise it, or unduly adore it, or stay in it when I should leave, or leave it when I should stay, or unwittingly destroy it, or prolong it when it should be disbanded. Now you might think that the answer is obvious: St. Blogg’s is clearly a church. You just look up the word ‘church’ in your Bible concordance, read the appropriate verses, and there you have it. But it’s not so easy, because the Greek word usually translated ‘church’ in our Bibles (ekklēsia) actually means ‘assembly’. So when you read the word ‘church’ in your Bible, the immediate picture you form in your mind should not be something like St. Blogg’s (the thing that I’ve just described) but rather an actual ‘assembly’ of people in direct proximity to one another, in one place, engaged in a common activity (more like what we at St. Blogg’s call a ‘service’ or a Bible study). The word ‘church’ in the Bible always carries with it notions of particular people actually assembled in a particular place, for a particular reason. In the Old Testament, the most significant assemblies were assemblies of the nation of Israel at Mount Sinai or Mount Zion for the purpose of hearing and responding to God’s word (e.g. Deut 4:10, 18:16; 1 Kings 8, Neh 8:2). Israel was not an assembly all the time; it was only described as an assembly when it actually assembled. At other times it was described as a ‘people’. Nevertheless, these assemblies were very significant, for they were the foundational and ongoing events that gave the ‘people’ its meaning and identity as God’s people, in God’s place, under God’s rule (e.g. Deu 23:3, Psa 68:26). In the New Testament, we find that the assembly is still very significant, but it has moved to a different location. The assembly is not at Mount Sinai, but rather it is at ‘Christ’. This may sound strange until you realise that God is where Christ is (John 14:7-11). Jesus Christ is God’s presence and his rule (John 17). And so we see God’s purposes being fulfilled as he gathers people around Christ, in obedience and response to Christ. The Christian ‘assembly’ is the assembly around Christ. But where is Christ now? He has ascended to heaven (Acts 2:33). He is with God, ruling from heaven, gathering a people to himself. One day he will return from heaven to bring consummation to the creation, but for now he is in heaven (Acts 1:11). So the primary, most important, assembly is ‘in heaven’, where we are actually assembled with Christ even though we are on earth (e.g. Col 1:18, 3:1-4; Eph 3:10-12; Heb 12:22-24). Yet here on earth, Christ is present with us by his Spirit. As the Holy Spirit brings God’s word to us and works obedience in us, Christ is there in us (Romans 8:1-11). Hence, whenever and wherever Christians assemble on earth in Christ’s name, drawn together in fellowship by the Holy Spirit to hear God’s word and respond in faith and love, which all centres on Christ, then that assembly can also be described as the true Christian assembly (e.g. Col 4:15). Thus each ‘local assembly’ is truly the heavenly assembly on earth: e.g. the ‘assembly of God which is at Corinth’ (1 Cor 1:2), ‘assemblies of Galatia’ (Gal 1:2), etc. But where does that leave St. Blogg’s? It does have regular assemblies in Christ’s name. But those assemblies usually stop at about 11:30 on Sunday mornings when the biscuits run out and we all go home. St. Blogg’s itself is not an ‘assembly’ as such; it’s a ‘community’ with relationships that can persist outside the assemblies. Because of this sort of distinction, some have suggested that the idea of ‘assembly’ is far too inadequate to capture the range of biblical expressions for Christian community. Cole, for example, suggests that the ‘people of God’ is a much more inclusive organising principle in the New Testament. In this view, St Blogg’s would be a subunit of the larger earthly society. It would not gain its meaning from its ‘assemblies’, but from its status as part of the ‘people of God’. This would also provide Christians with a corporate face towards the rest of the world, explaining such things as denominations, evangelism and social action. However, this view doesn’t do justice to the weight that the Bible places on the ‘assembly’ (ekklēsia). In the Old Testament, it is the act of assembling around God’s word that makes Israel God’s people, from exodus to exile. And as we have already seen, the New Testament uses the word ‘assembly’ (ekklēsia) in a highly exalted way. Paul describes the heavenly assembly around the ascended Christ as a key to the fulfilment of God’s cosmic plan (Eph 1:22, 3:10, 3:21; Col 1:18), and often uses ekklēsia as the primary term of corporate address to his readers (1 Cor 1:2; 2 Cor 1:1; Gal 1:2; 1 Thess 1:1; 2 Thess 1:1; Phm 1:2; cf. Rev 1:4). Whatever we say about St. Blogg’s, we can’t ignore the centrality of the ‘assembly’. A key to understanding how the assembly is essential to our corporate Christian identity is the word ‘body’. The heavenly assembly is not simply an assembly around Christ; it is his very body (e.g. 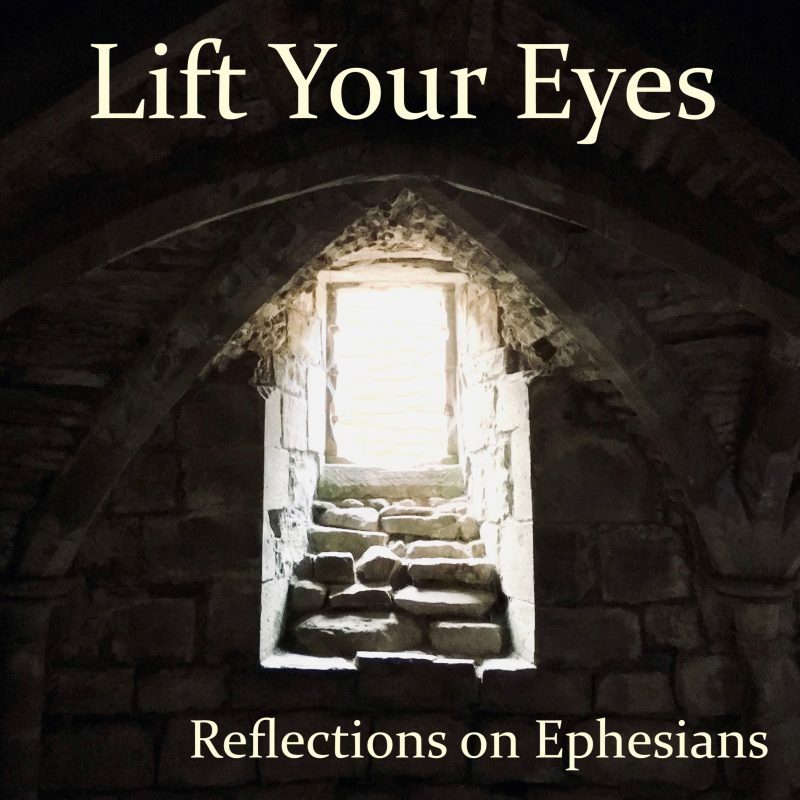 Eph 1:22-23, 5:23, 5:29-30; 1:18, 3:15). This means that there is a close, intimate relationship between Christ and his people, a ‘fellowship’ which is ours through the Holy Spirit who brings us the word of Christ and anchors us together in him (1 Cor 1:9; 10:16; 2 Cor 13:14; Eph 4:4; Phil 2:1; 1 John 1:3-7). Furthermore, this ‘fellowship’ is bound up with Christ’s bodily (human) nature, especially his death for us (1 Cor 11:24; Col 1:22, 1:24; 1 Pet 2:24) and his resurrection which secures our own resurrection (Phil 3:21; Heb 10:5, 10). This means that all legitimate earthly manifestations of fellowship in Christ (that is, sharing corporately in faith, hope and love in the gospel of Jesus’ death and resurrection, e.g. Col 1:3-5) are grounded in the heavenly assembly which is Christ’s ‘body’. The earthly ‘assembly’, where we gather to hear the word of Christ and to love and serve one another in close physical (bodily) proximity, is, of course, the primary expression of this fellowship (e.g. 1 Cor 10:17, 12:27-28; Col 3:16; possibly Rom 12:5-8). But heavenly fellowship in Christ can also be expressed in other ‘earthly’ ways even when the ‘assembly’ is not actually gathered (e.g. by sharing money: Rom 15:26; 2 Cor 8:4; Phil 4:14-15). Hence the people of St. Blogg’s can act as the body of Christ, both during its ‘assemblies’ and at other times, whenever they express fellowship in teaching and living out the gospel of Christ. But is there more we can say about St. Blogg’s? The three occurrences of ekklēsia in 1 Timothy (3:5, 3:15, 5:16) are worth looking at more closely. 1 Timothy 3:15 is particularly significant, because it relates the ‘ekklēsia of the living God’ (a very exalted phrase) to the earthly concept of the ‘household of God’. We’ll look first at 1 Timothy more broadly, and then return to 3:15. In 1 Timothy, Paul displays a deep concern with the connection between God’s word and earthly relationships. God’s word both affirms and revitalises earthly relationships. For example, the teaching about the oneness of God, the incarnation and the substitutionary atonement underwrites a concern with the entire social order (2:1-6, 4:10). While demonic teaching denies the goodness of marriage and food, God’s word and prayer is able to sanctify them (4:1-5). Timothy’s training in the words of the faith and the good teaching holds promise for both the present life and the life to come (4:6-8). Paul expects his apostolic command to set up a just system of social welfare for widows (5:3-16). Conversely, revitalised earthly relationships provide the form for God’s word to be expressed. That is, God’s word brings salvation in and through earthly relationships (e.g. 2:1-4, 2:15). Paul refers to various dimensions of relationship in and through which God’s word is taught and obeyed: men and women (2:8-15), fathers and children (3:4-5, 12), insiders and the wider community (3:7), created things such as wine and money (3:3), youth and age (5:1-2), etc. The word ‘behave’ means consistent habits of earthly living in relationship with others. This is entirely consonant with the tone of 1 Timothy. Similarly, as we have seen, the word ‘household’ is best understood as a social entity with some measure of continuity, an earthly ‘community’. The ‘household of God’ is not necessarily a ‘house-church’ (cf. 1 Tim 5:4, 8, 14 with 5:16). Nevertheless, it does appear to be a close-knit earthly community. 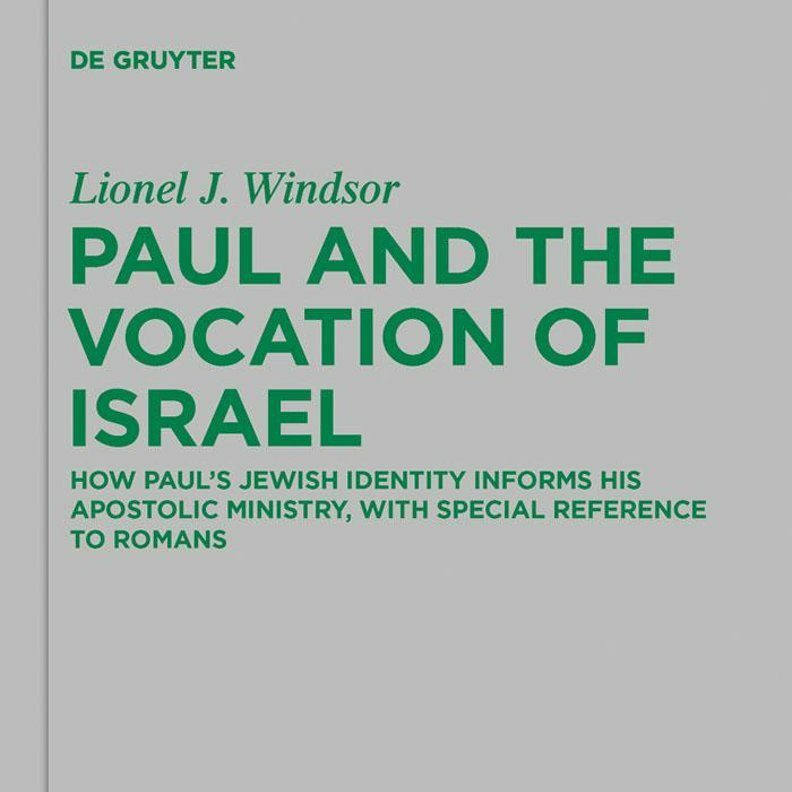 Paul seems to envisage that wherever Christians are living in close proximity, such that they are regularly and prayerfully interacting with each other, and the word of God is being taught, believed and obeyed, their ongoing conduct towards one another may be said to constitute ‘assembly’, or ‘church’ (ekklēsia). More broadly, to whatever extent that such regular word-and-prayer-based fellowship is happening amongst a discernible social group, that social group may be said to be ‘assembling’ in the name of Christ; and that social group may be called a ‘household of God’. This ‘household of God’ is certainly not the only possible form of earthly assembly. However, the household of God is a particularly powerful form of assembly because it is a locus of direct word-and-spirit-based interaction between God and human relationships. To answer our question, then, what is St. Blogg’s? Provided it sticks to God’s word in its teaching, its fellowship, and its ongoing life, it is a household of God. It is an earthly community, but it is a special earthly community because it is a place where God’s word directly affects earthly relationships. How, then, should I act towards it? Firstly, I need to discern the earthly character of the ‘household of God’. God’s creation exhibits both regularity (which is good, e.g. Gen 1:18) and variety (which is good, e.g. Gen 1:12, 21, 25). This will also be true of St. Blogg’s. We should expect God’s word to revitalise and reform relationships between parents and children, men and women, younger and older, in line with the good regularity of the created order; and we should expect these properly ordered relationships to inform the way in which we bring God’s word to each other in fellowship (e.g. 1 Tim 2:8-15; 5:1-4). Yet we should also expect variety and fluidity in how these relationships are expressed, as they both reform and are informed by the culture in which the household of God finds itself. But more importantly, I must be concerned to ensure that St. Blogg’s remains intimately connected with its source of life: God’s word. If St. Blogg’s loses constant contact with hearing and responding to God’s word (even if it remains a nice friendly community doing lots of helpful things in society), it will no longer be a household of God, because it is no longer in fellowship with Christ; it is no longer Christ’s body (Col 2:19). I must avoid being led astray by my own question, because what ultimately matters is not St. Blogg’s, but the heavenly assembly in Christ (Col 3:1-4). Banks, Robert. Paul’s Idea of Community. Revised ed. Peabody: Hendrickson, 1994. Banks, Robert and Julia Banks. The Church Comes Home. Peabody: Hendrickson, 1998. Cole, Graham. ‘The Doctrine of the Church: Towards Conceptual Clarification’. Pages 3-17 in Church, Worship and the Local Congregation. Edited by Barry G. Webb. Explorations 2. Sydney: Lancer, 1987. Doyle, Robert. ‘A Response to Graham Cole’s Paper’. Pages 19-25 in Church, Worship and the Local Congregation. Edited by Barry G. Webb. Explorations 2. Sydney: Lancer, 1987. Dumbrell, William J. 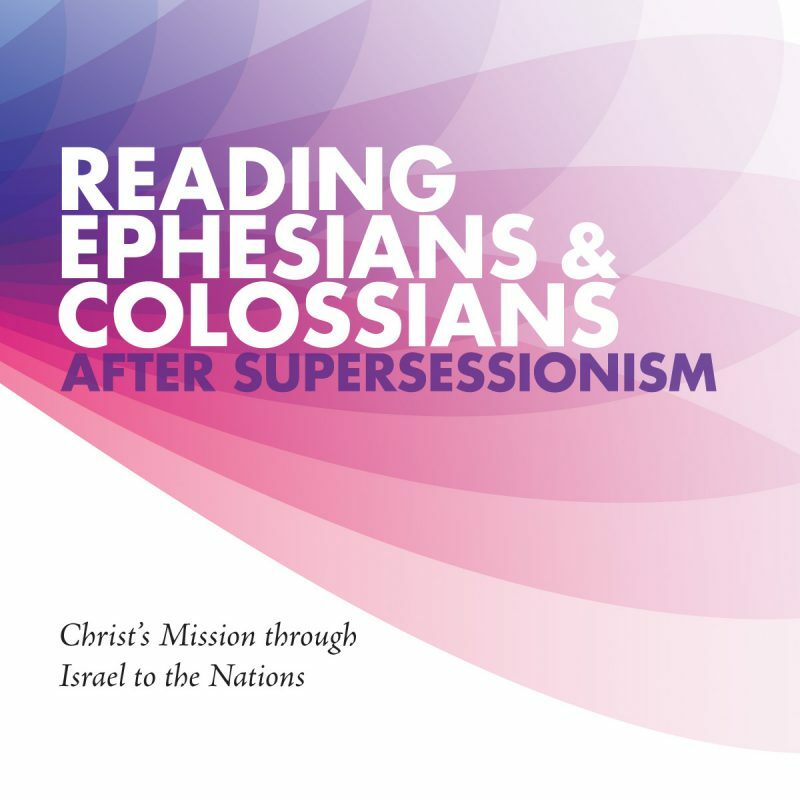 ‘The Meaning and Use of EKKLESIA in the New Testament with Special Reference to Its Old Testament Background’. M.Th. thesis. Moore Theological College, 1966. Giles, Kevin. ‘Models of the Church’. Evangelical Review of Theology 25/1 (2001): 81-85. _______. What on Earth Is the Church? : a Biblical and Theological Enquiry. North Blackburn, VIC: Dove, 1995. Kidd, Reggie M. Wealth and Beneficence in the Pastoral Epistles. SBL Dissertation Series 122. Atlanta: Scholars Press, 1990. Knight, George W. The Pastoral Epistles. The New International Greek Testament Commentary. Grand Rapids: Eerdmans, 1992. Knox, D. Broughton. ‘The Biblical Concept of Fellowship’. Pages 57-84 in Selected Works Volume II: Church and Ministry. Edited by Kirsten Birkett. Presented at the 1986 Moore College School of Theology. Kingsford: Matthias Media, 2003. _______. ‘The Church and the Denominations’. Reformed Theological Review 23/2 (1964): 44-53. _______. ‘The Church, the Churches and the Denominations of the Churches’. Reformed Theological Review 48/1 (1989): 15-25. _______. ‘What the Church Is’. The Briefing 15 (1988): 3-4. Mounce, William D. Pastoral Epistles. Word Biblical Commentary vol. 46. Nashville: Thomas Nelson, 2000. O’Brien, Peter T. ‘The Church as a Heavenly and Eschatological Entity’. Pages 88-119 in The Church in the Bible and the World. Edited by D. A. Carson. Exeter: Paternoster, 1987. Peterson, David. ‘The “Locus” of the Church: Heaven or Earth?’. Churchman 112 (1998): 199-213. Robinson, Donald W. B. The Church of God: Its Form and Its Unity. Viewpoint Series. Punchbowl, NSW: Jordan Books, 1965. Schweizer, Eduard. The Church as the Body of Christ. 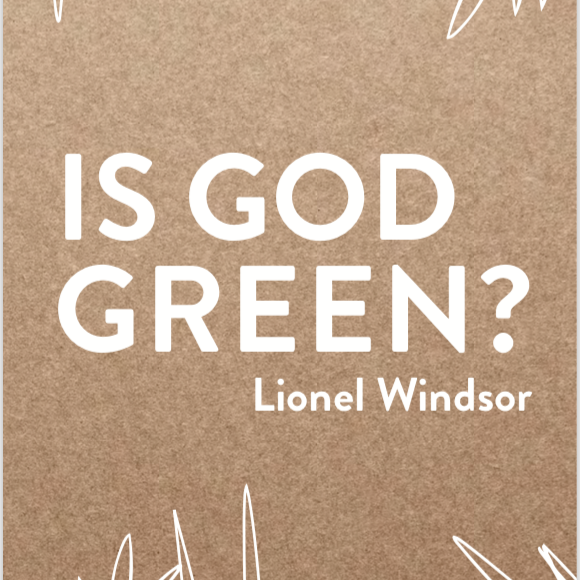 London: SPCK, 1965. Shiner, Rory. ‘An Appreciation of D. W. B. Robinson’s New Testament Theology’. B.D. thesis. Moore Theological College, 2004. Vallet, Ronald E. Congregations at the Crossroads: Remembering to be Households of God. Faith’s Horizons. Grand Rapids: Eerdmans, 1998. Verner, David C. The Household of God: the Social World of the Pastoral Epistles. SBL Dissertation Series 71. Chico, Calif: Scholars Press, 1983. Robinson, Donald W. B. ‘“The Church” Revisited: An Autobiographical Fragment’. Reformed Theological Review 48/1 (1989): 4-14. _______. 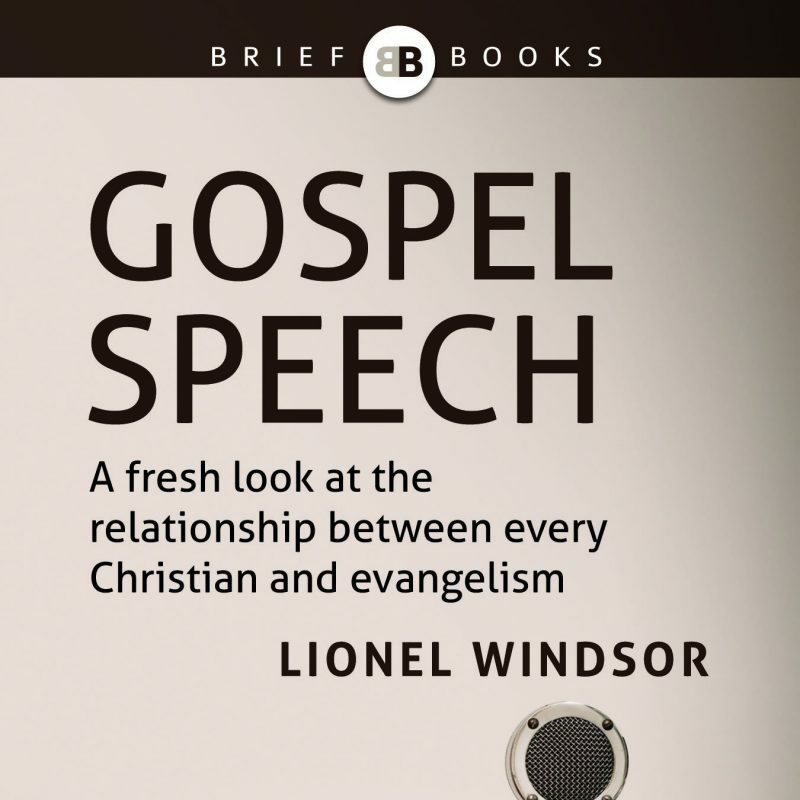 ‘The Doctrine of the Church and Its Implications for Evangelism’. Interchange 15 (1974): 156-62. _______. Faith’s Framework: the Structure of New Testament Theology. 2nd ed. Coromandel East, SA: New Creation, 1996. _______. ‘Letter to the Editor: The Church and Evangelism’. Interchange 21 (1977): 62-63. Woodhouse, John. ‘Christian Unity and Denominations’. The Briefing 284 (2002): 15-20. Names and details have, of course, been changed. Following the recommendation of Kevin Giles, ‘Models of the Church’, Evangelical Review of Theology 25/1 (2001): 81-85. Donald W. B. Robinson, The Church of God: Its Form and Its Unity (Viewpoint Series; Punchbowl, NSW: Jordan Books, 1965); D. Broughton Knox, ‘The Church and the Denominations’, Reformed Theological Review 23/2 (1964): 44-53; D. Broughton Knox, ‘The Church, the Churches and the Denominations of the Churches’, Reformed Theological Review 48/1 (1989): 15-25. Peter T. O’Brien, ‘The Church as a Heavenly and Eschatological Entity’, in The Church in the Bible and the World (ed. D. A. Carson; Exeter: Paternoster, 1987), 88-119; David Peterson, ‘The “Locus” of the Church: Heaven or Earth?’, Churchman 112 (1998): 199-213. D. Broughton Knox, ‘What the Church Is’, The Briefing 15 (1988): 3-4. Graham Cole, ‘The Doctrine of the Church: Towards Conceptual Clarification’, in Church, Worship and the Local Congregation (ed. Barry G. Webb; Explorations 2; Sydney: Lancer, 1987), 3-17. Kevin Giles, What on Earth Is the Church? : a Biblical and Theological Enquiry (North Blackburn, VIC: Dove, 1995), while aware of the problems of ‘people of God’ language (11-12), defines the ‘church’ as ‘worldwide Christian community’, which amounts to the same thing but with less direct exegetical support (15-20). For Giles, St. Blogg’s would be a ‘specific community’ generated by the ‘Christian community’ (186). Robert Doyle, ‘A Response to Graham Cole’s Paper’, in Church, Worship and the Local Congregation (ed. Barry G. Webb; Explorations 2; Sydney: Lancer, 1987), 20-23. This is not to say that the earthly church is somehow a ‘prolongation’ of Christ’s physical body on earth, as in some Roman Catholic teaching. In an earthly sense, the ‘body’ remains a metaphor. See Eduard Schweizer, The Church as the Body of Christ (London: SPCK, 1965), 54-55. D. Broughton Knox, ‘The Biblical Concept of Fellowship’, in Selected Works Volume II: Church and Ministry (ed. Kirsten Birkett; Presented at the 1986 Moore College School of Theology; Kingsford: Matthias Media, 2003), 57-84. Donald Robinson, it appears, never wrote anything directly on the pastorals, published or unpublished (Rory Shiner, ‘An Appreciation of D. W. B. Robinson’s New Testament Theology’ [B.D. thesis, Moore Theological College, 2004], 21-22, esp. fn 97). William Dumbrell does discuss 1 Timothy 3:15 briefly, assuming that it is a reference to the ‘house church’ (i.e. regular acts of assembling in a house), but he is more interested in the phrase ‘pillar and ground of truth’: ‘The truth is safeguarded by constant Christian assembly, where the faith is rehearsed and the body consequently built up.’ (William J. Dumbrell, ‘The Meaning and Use of EKKLESIA in the New Testament with Special Reference to Its Old Testament Background’ [M.Th. thesis, Moore Theological College, 1966], 170). We might expect Robert Banks, who endorses the ‘house church movement’ (Robert Banks and Julia Banks, The Church Comes Home [Peabody: Hendrickson, 1998]), to provide a detailed discussion of 1 Timothy in his book Paul’s Idea of Community (Revised ed. ; Peabody: Hendrickson, 1994), 194-200. However, Banks sees the pastoral epistles (whose Pauline authoriship is doubted) as ‘drifting away’ from Paul himself in various ways. Their understanding of community is less ‘dynamic’ and ‘participatory’, order begins to overtake charisma, there is less ‘Spirit’, more restrictions on women, more ‘morality’. For Banks, the ‘shadow’ of a set leadership structure looms over the community. The ‘word’ is too restrictive: ‘alongside the gospel an increased importance is given to “sound doctrine” and the “sacred writings”’. 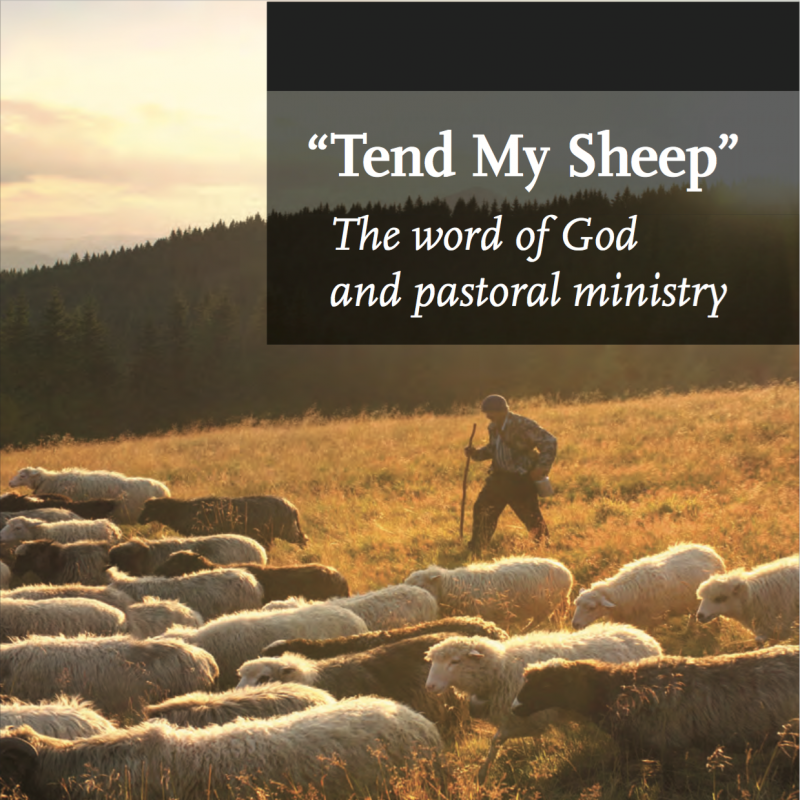 Banks’ assessment of the pastorals is not completely negative, but it is certainly not a ringing endorsement and it leads Banks to neglect the pastorals in his theology. 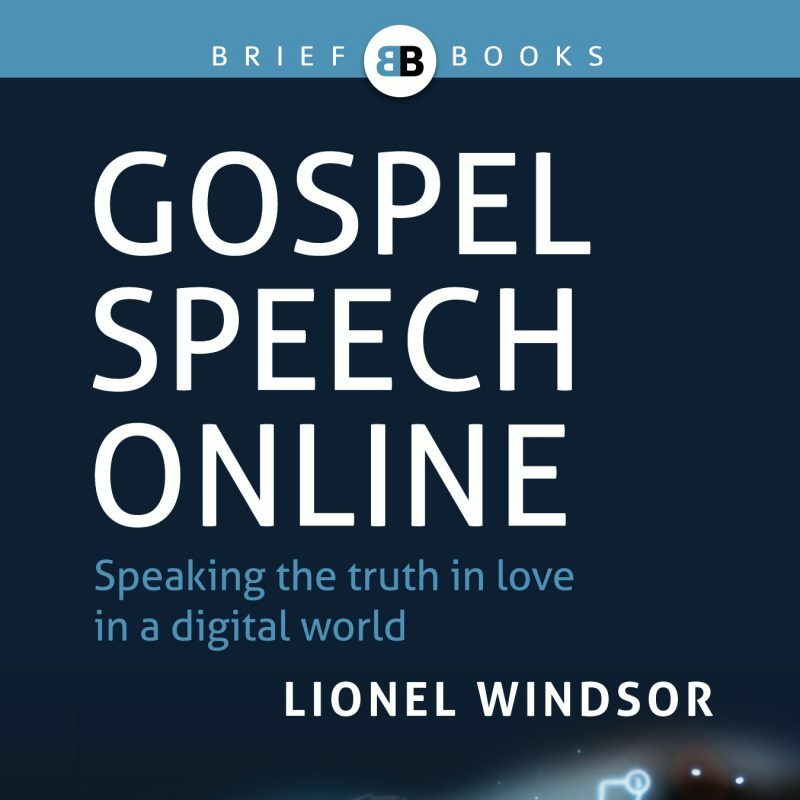 See also chapter 6: The ‘sound words of our Lord Jesus Christ and the teaching’ (6:3) enables godliness to prevail in earthly relationships (6:1-19); whereas the opposite teaching is ‘unhealthy’ (6:4). 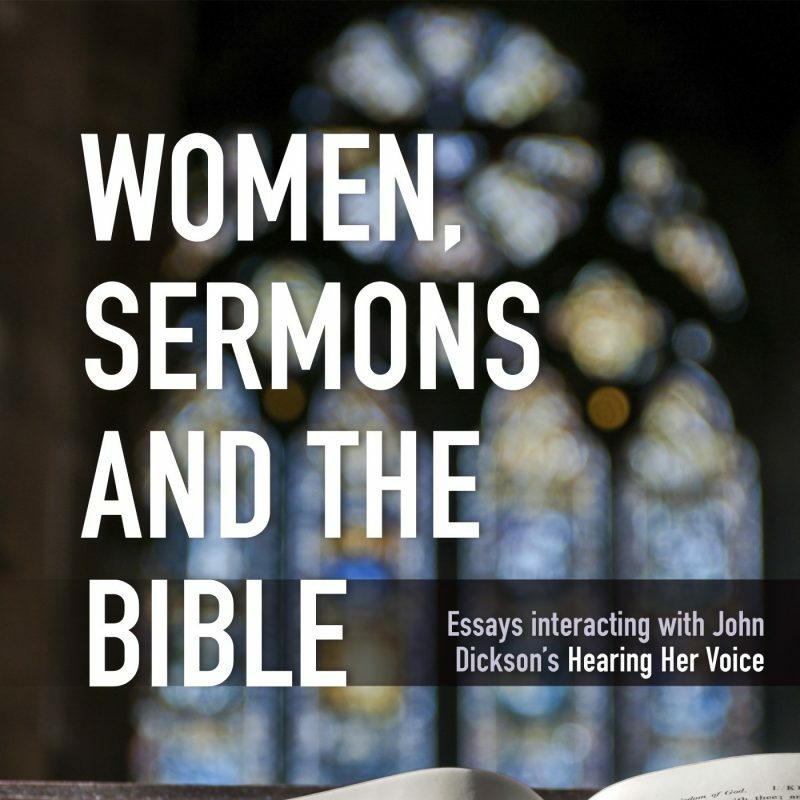 According to David C. Verner, The Household of God: the Social World of the Pastoral Epistles (SBL Dissertation Series 71; Chico, Calif: Scholars Press, 1983), the purpose of the pastorals was to conform the church to traditional aristocratic society in the face of social change, particularly to keep the traditional oppression of women in force. However, Reggie M. Kidd, Wealth and Beneficence in the Pastoral Epistles (SBL Dissertation Series 122; Atlanta: Scholars Press, 1990), 93-100 has shown that the word of God in the Pastorals was a transformative and reforming influence on the social order. For example, true wealth is redefined in 1 Timothy 6:3-21; this must have had major social implications for the whole household, especially women and slaves. Verner, Household of God, 27-81. Verner, Household of God, 108-11; George W. Knight, The Pastoral Epistles (The New International Greek Testament Commentary; Grand Rapids: Eerdmans, 1992), 179-80; William D. Mounce, Pastoral Epistles (Word Biblical Commentary vol. 46; Nashville: Thomas Nelson, 2000), 222. This is different to (although not inconsistent with) the use of a similar word in Ephesians 2:19 which refers to the heavenly assembly as a family whose Father is God (Knox, ‘Church and the Denominations’, 46). There can also be ‘intermittent’ assemblies. See Robinson, Church of God, 11-14. Ronald E. Vallet, Congregations at the Crossroads: Remembering to be Households of God (Faith’s Horizons; Grand Rapids: Eerdmans, 1998), goes much too far in making ‘household of God’ the controlling metaphor of church, but he does usefully explore some of the impacts that a ‘household of God’ might have on the whole created order.